In 2015 I helped out a friend who owned a local Murphy bed showroom. 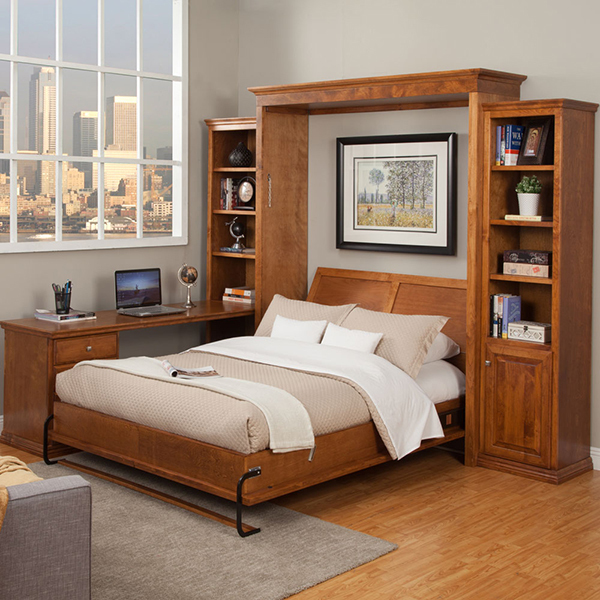 Like everything, there is a range of quality with Murphy beds. Some are made of wood, some particle board, some use high-end Selby Murphy mechanisms, some use springs. The one I sold the most of was made by a wood furniture company I had worked with here at UFM. And it was made solid! Two sheets of plywood on both sides and the Spanish built Selby mechanism. This one sold itself! So when I decided to offer Murphy Bed’s/Wallbeds here at UFM Designs, it was that high quality I was looking for. And I found it! Our current suppliers low end bed starts with two 3/4” sheets of plywood per side and the Top rated Selby mechanism. 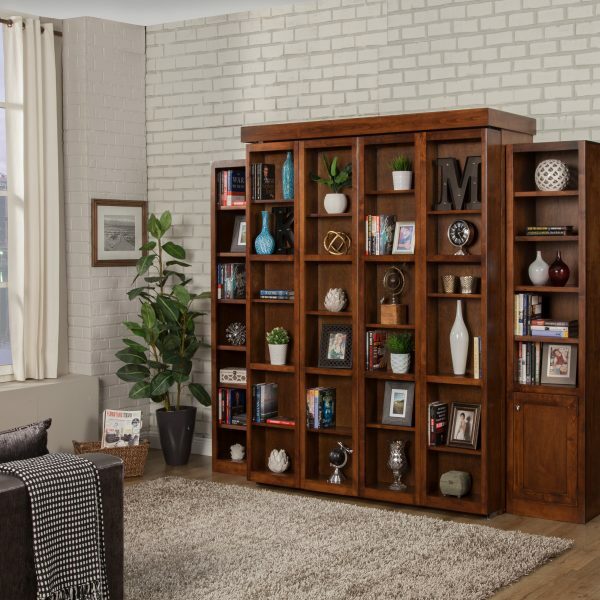 You might pay a little more for an all-wood Murphy Bed, but when it works as promised and lasts for decades, we think you’ll see the value. When your making a purchase of a Murphy bed buying an all wood bed is preferred. When done right, this purchase can add value to your home. The Murphy Bed, also known as a wall bed, fold down bed or pull down bed, is a bed that’s hinged at one end so it can be folded up and stored vertically against a wall or in a closet. It’s useful in situations where floor space is at a premium, like studio apartments, dorm rooms, mobile homes and cruise ship cabins. The bed is named, no surprise, after a guy named Murphy—William L. Murphy. These kinds of beds had already been around in other forms for a while. Thomas Jefferson had his beds in Monticello hanging on ropes and hooks in the alcoves of the bedrooms, and Leonard Bailey received the first patent for a folding bed in 1899. Murphy’s innovation was at the bed’s point of folding. Using an old closet doorjamb and some door hinges, he built a pivot that allowed the bed to attach to a wall and fold up against it for easy storage. The son of a gold-seeking 49er, Murphy worked a few different jobs around California before he came up with his invention. He broke in horses for a while, drove a stagecoach, and even served as sheriff of a little pioneer town. At the turn of the 20th century, he made his way to San Francisco and rented a tiny one-room apartment on Bush Street, which inspired his leap into the bed business.